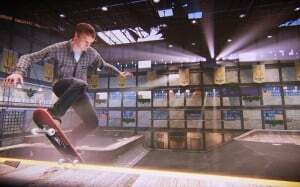 Tony Hawk's Pro Skater 5 Reviews: Why You Don't See Any Yet | Nerd Much? Tony Hawk’s Pro Skater 5 has officially released this morning, and the typical thing to do on a video game’s release date is check out the reviews. Unfortunately, if you were waking up this morning with the plans to read some Tony Hawk’s Pro Skater 5 reviews, you’re going to be disappointed. As you’ll quickly notice with a simple Google search (or by browsing to IGN, GameTrailers, GameSpot, or any of the other gaming sites you rely on for game reviews), there isn’t a THPS5 review in sight. For those that are unaware of how game reviews typically work, the fact that there aren’t any reviews for the game, which released this morning, is a major red flag. Of course, like many, we were already skeptical about the quality of Activision’s upcoming game after seeing the first set of screenshots and, eventually, gameplay videos that did little to impress. So, the fact that Activision has not sent out review copies yet — reviewers will be receiving the game at some point today — does not instill confidence in their product. If you’re still wondering why there aren’t any Tony Hawk’s Pro Skater 5 reviews yet, it’s because reviewers don’t have their copies yet, meaning reviews likely won’t be going up today. Unfortunately, it’s a shady business practice by publishers to ensure that bad reviews don’t go live before the release date, so that the unknowing will risk their money on the game. This practice isn’t exclusive to Activision, of course, and it’s nothing new. We’ve seen plenty of low quality games have a review embargo on their release date. But, it’s an unfortunate thing that plagues the gaming industry that reviewers have no control over. We implore you to not spend your $60 on this game yet, as all signs are pointing to the fact that it’s an atrocious cash grab — one that has angered longtime fans of the franchise. Wait until you have the full story on the game before blindly purchasing this one.